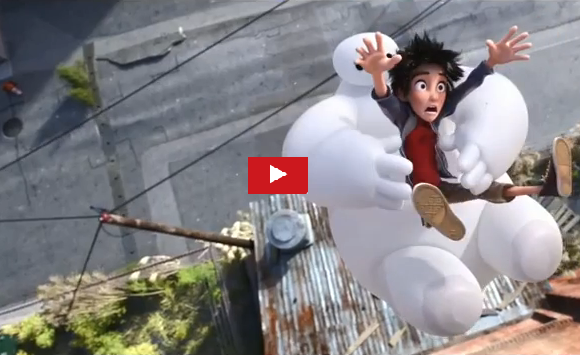 The first trailer for the upcoming 3D computer-animated superhero film Big Hero 6 has been released and it's stunning. Inspired by characters from Marvel Comics and produced by Walt Disney Animation Studios, Big Hero 6 is scheduled to roll into theaters on November 7, 2014. Directed by Don Hall and Chris Williams, the film looks great based on what was shown on the trailer. The actors who lent their voices for the characters in the animated feature include Ryan Potter, Scott Adsit, Jamie Chung, Damon Wayans Jr., Genesis Rodriguez, T.J. Miller, Maya Rudolph, James Cromwell, Alan Tudyk, and Daniel Henney.